Bid Day for each of the four National Panhellenic Council chapters at Rider – Delta Phi Epsilon (top left), Alpha Xi Delta (top right), Zeta Tau Alpha (bottom left) and Phi Sigma Sigma (bottom right) – took place on Feb. 3 in the Cavalla Room. Every spring, sororities and fraternities gather together for an event that welcomes potential new members (PNMs) into their organizations. 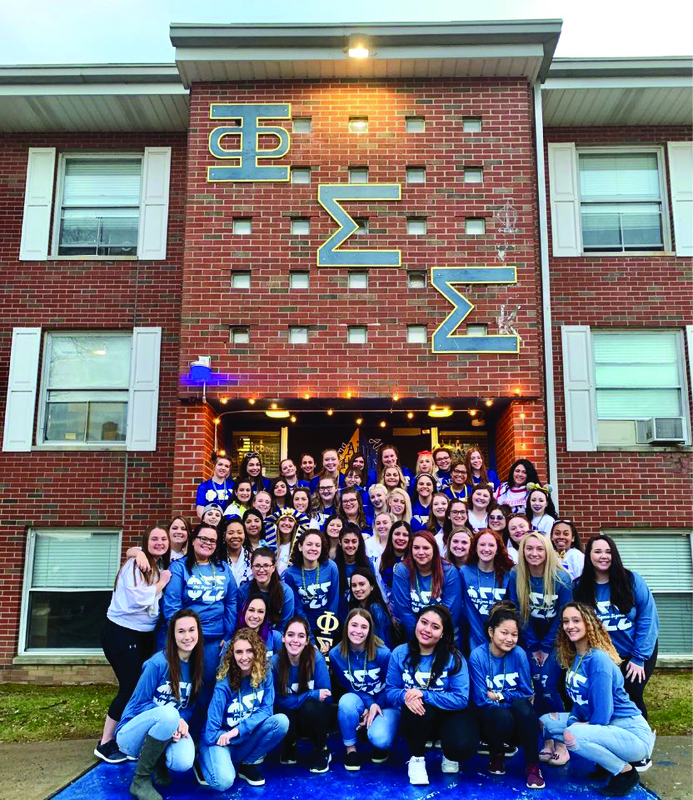 This year’s National Panhellenic Council (NPC) Bid Day took place on Feb. 3, a special day for the Greek organizations where new members revealed which chapter they chose to join. The NPC on Rider’s campus is comprised of four sororities — Alpha Xi Delta, Delta Phi Epsilon, Phi Sigma Sigma and Zeta Tau Alpha. The executive members of the council and Director of Student Involvement, Barbara Perlman, ensured that the day went according to plan. Perlman emphasized the importance of preparing for these events, which typically occur the first week of the spring semester. “All of these programs take a lot of preparation and work, and getting to see how happy everyone is on that day is really the payoff for weeks and months of dedication and planning,” she said. 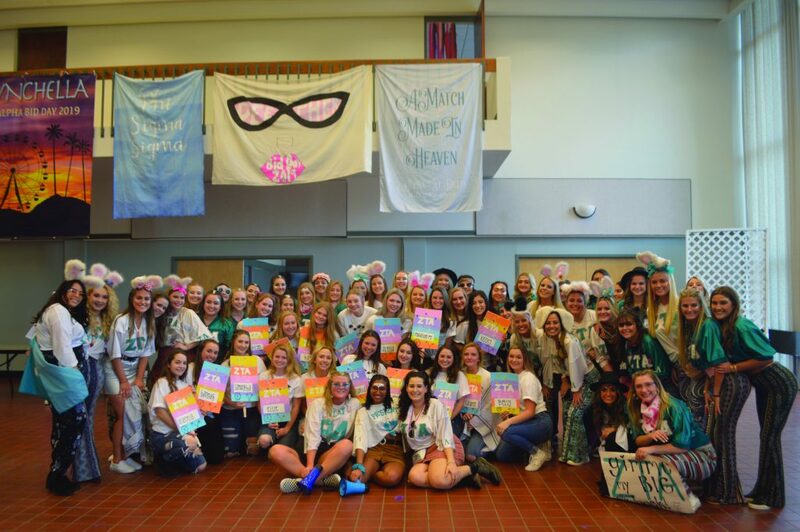 Formal Recruitment consisted of three rounds, which took place over the course of three days, where each PNM determined which chapter was the best fit for them. Junior public relations major and National Panhellenic President Gina Mastroianni noted that the selection process was mutual. Each of the chapters gave bids, or invitations, to PNMs to join the sororities. They used a computerized system to help them with their process. “The preferences of the PNMs and the chapters are utilized to match as many new members and chapters as possible,” Perlman said. The culmination of each recruitment round leading up to Bid Day was full of anticipation and enthusiasm for the chapters and new members. 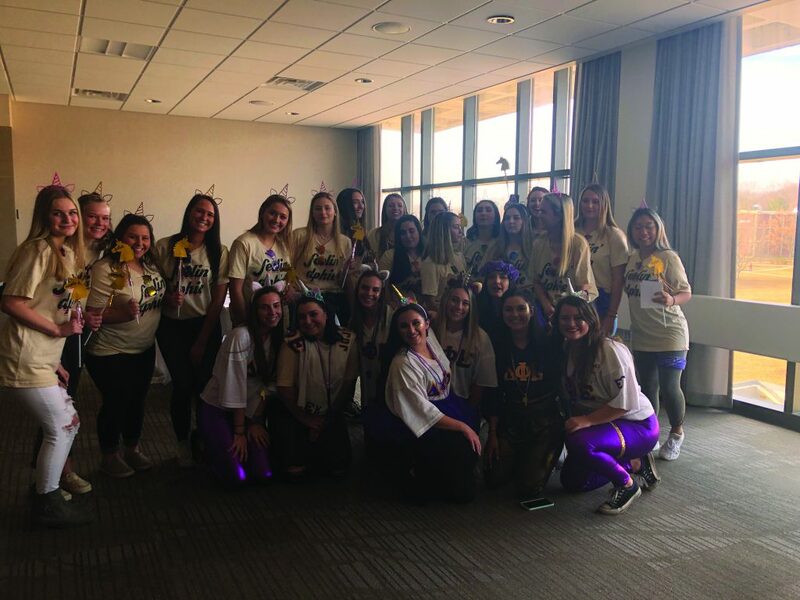 When the day finally arrived, everyone gathered in the Cavalla Room where the big reveal took place and, for the first time, the chapters learned which new members joined their respective sororities. Each sorority gained new members. The new members found a place on campus where they can grow and become the women they want to be under the guidance of their new sisters. Published in the 02/13/19 edition.